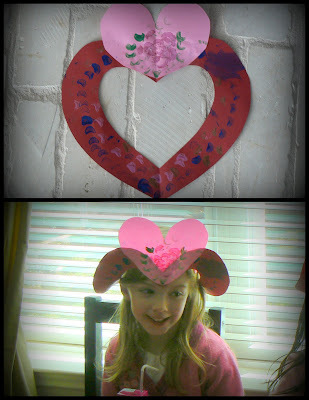 We made these super easy heart hats for a Valentines Day get-together on Tuesday. I cut the hearts out of scrapbook paper (a little sturdier than construction paper) and the girls decorated. Thanks, Kathy for the directions on this!